Where's the Russian Accent Attempt?! I love this book, however I was a bit disappointed in Khristine's performance. Her read of Rose was great, however her other characters lacked, especially Dimitri. 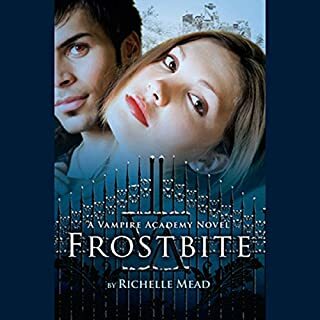 Stephanie Wolf, who narrated Vampire Academy, did a great attempt at giving him a personality and accent that matched his character. I really missed that attention to detail in this narration. 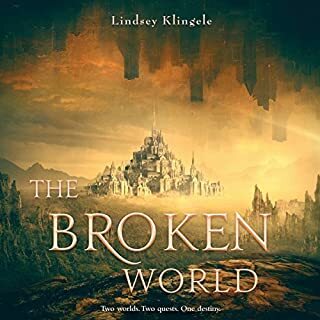 In the fantasy world of Caelum, Liv, Cedric, and Kat attempt to defeat an evil traitor and his army to save their families and the kingdom. Meanwhile, Liv's best friend and Cedric's frenemy stick in LA to try and figure out how to fix Los Angeles. The city, thanks to the open portals between LA and Caelum, is breaking down: The sky is orange, gravity isn't working right, and earthquakes shake the ground every few hours. When the crew reunites in LA, it's a race against time to restore the balance of magic between the two worlds. Aza Ray is back on Earth. Her boyfriend, Jason, is overjoyed. Her family is healed. She's living a normal life, or as normal as it can be if you've spent the past year dying, waking up on a sky ship, and discovering that your song can change the world. As in, not normal. Part of Aza still yearns for the clouds, no matter how much she loves the people on the ground. I really have no profound thoughts about this. The story was a lot of the same of that previous. Odea Donahue has been able to travel through people's dreams since she was six years old. Her mother taught her the three rules of walking: Never interfere. Never be seen. Never walk the same person's dream more than once. Dea has never broken the rules. When you walk dreams, what is real life? This book piqued my interest from page one. Odea has been able to walk other people's dreams since she was 6 years old. Somehow, by walking dreams, her illness stays at bay. There is something different about Odea and seeming to sense it, others treat her as an outcast, every city her and her mom move to, rumors spread. She currently has one friend, in the small town she currently resides, until Connor moves to town. Connor has her breaking all the rules of dream walking that she has followed to a T since day one. Never be seen, never walk a dream more than once or "they" will find you. Seems pretty simple, but something about Connor makes Odea needing to be closer, needing to know more about him. Odea's mother goes missing, she (Odea) ends up in the mental ward, and she starts to feel sick from not walking any dreams. 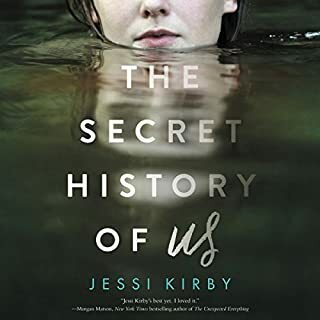 She needs Connors help to escape, but when she does, she isn't prepared for what she will learn about her mother and herself. I thoroughly enjoyed this book but the weird, mysterious aspects of the book moved too quickly for my taste. 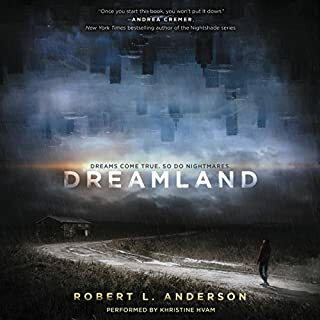 I wanted more of the dream world and less reality once we got to that point of the book which is why I only rated it 4 stars. I felt that we were introduced to characters and potential plot points that were later rushed over to tie up the last chapter. Fabulous, Unique, and Wanting More! I really enjoyed Tenly. I think she is a strong, brave girl who knows (while not knowing) what she wants. She knows she has a choice to make between Troika and Myriad, but unlike most, she doesn't know which is the right choice for her! She isn't ready to choose Myriad because that is what her parents want from her. She knows there are valuable assets to both everlife realms and she wants to choose what is right for her. What does Emma Galvin and Zachary Webber bring to the story that you wouldn’t experience if you just read the book? 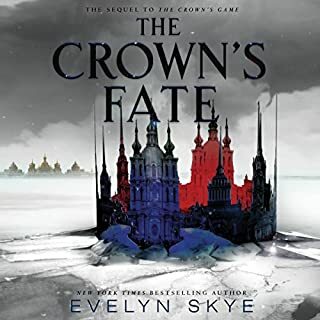 I love these two from previous books I have bought on Audible. They bring life to the characters. They do a fabulous ob giving characters their own voices and accents when they are needed. This is the 5th time I have listened to this story and it never fails to hit me right where it hurts. 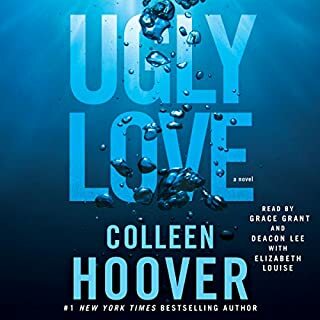 Not only is Colleen Hoover a beautiful story but the narrators do a fabulous job capturing all the emotions of our main characters, Tate and Miles. If you love a good romance with witty strong women, I highly recommend this book and all of Colleen Hoover's books. You will get hooked! 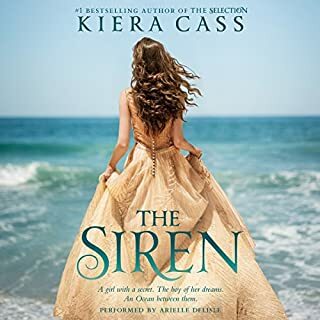 Where does The Siren rank among all the audiobooks you’ve listened to so far? This book has an interesting take on Sirens. 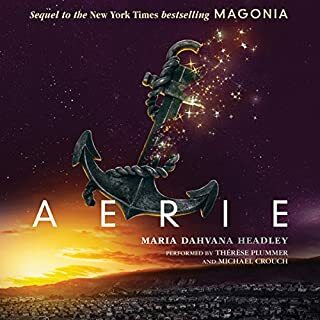 I didn't know a ton about them before reading this book, but I never thought about them being Sirens because of the Oceans mercy or indebted to the ocean. It was interesting to read about their relationship with the Ocean. 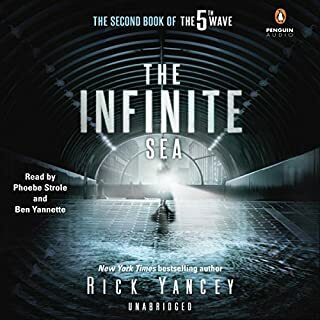 Would you consider the audio edition of The Infinite Sea to be better than the print version? This is the second time I have read this book! The Infinite Sea is a nice continuation of The Fifth Wave. You see a lot more character development in this book now that Cassy has found her brother, Ben (AKA Zombie) and realizes Sam is no longer the little boy she let get on the bus and Ben is no longer the boy she fantasized about during class all those months ago. We also learn more about who "The Others" really are, which isn't what you would expect from after reading book one, which leads to a fate for Ringer that I wasn't expecting. I like that Rick has written in a romance (view spoiler). Their relationship is on the side lines and we get little pieces here and there but nothing over the top. 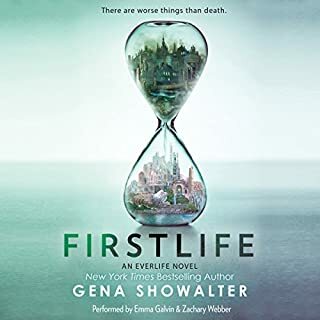 I also enjoy that the evolution of their relationship is genuine and has a lot of bumps along the way, where other dystopian books try to make the romance the focal point and it flourishes all too quickly.